During the ancient times, people are not aware of what is within their bodies and whenever they feel a strong emotion, they feel it from their chests. That is one of the reasons the ancient people associate heart with love and life. But nowadays, science progresses more and more and humans discover a lot of things about the human anatomy. Whenever we feel like there is something throbbing in our chests, it may or may not be love, but sometimes, it may also be a heart disorder triggering. These times, we can never be so sure. That’s the very reason why we need to take care of our hearts and that can be easily done with the help of ATC Fish Oil. ATC Fish Oil hasOmega-3 fatty acids like EPA and DHA which are essential nutrients for a healthier heart. These awesome twosome for the heart help lower blood pressure, triglycerides and LDL cholesterol levels. EPA, or eicosapentaenoic acid, and DHA, or docosahexaenoic acid, are nutrients extracted from cold water fishes. These nutrients are also beneficial for age-related diseases of the eyes and brain. With ATC Fish Oil, protect yourself against life-threatening diseases such as heart attack, stroke and other heart problems. 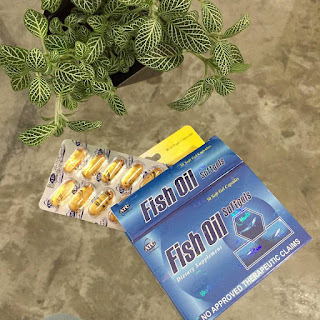 Apart from its benefits for the heart, ATC Fish Oil, is also known to aid in fighting back the risk of having Cancer. Its Omega-3 component has properties that are helpful in preventing one dreading symptom of Arthritis which is Inflammation of specific body parts. With ATC Fish Oil, you can protect yourself against life-threatening diseases such as heart attack, stroke and other heart problems. However, this is not a medicinal drug and should not be used to treat the symptoms of any disease. Is it worth it to get Loyalty Cards? New Blog Name! Team Poreber!